Normal, healthy retina with a dark central macula. This is your comparison photo for mine below! 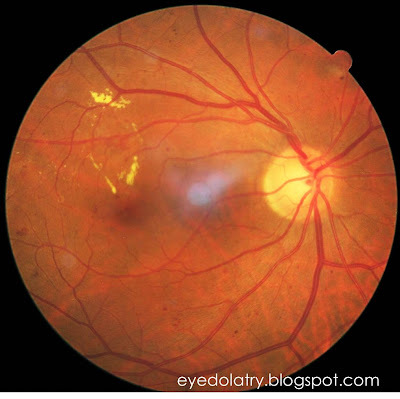 In the above picture, diabetic changes have caused leakage of blood vessels near the retina, and a condition called macular edema. 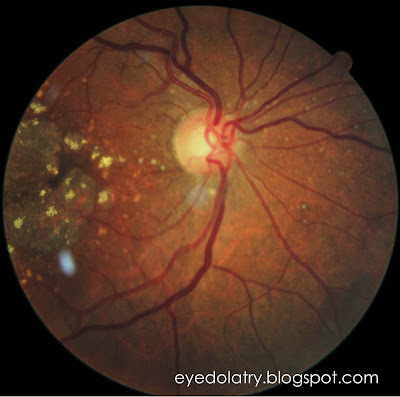 The macular tissue is swollen around the yellow appearing exudative material. 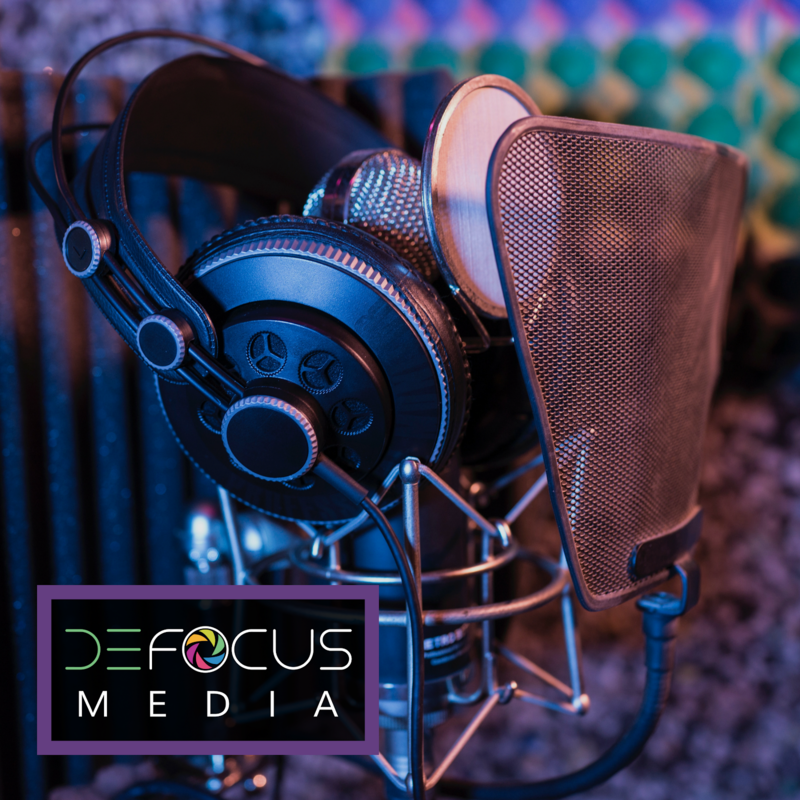 This will cause blurry vision and distortion. 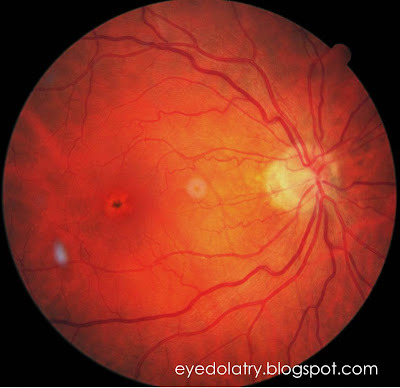 The hope is that as blood sugar levels normalize, the swelling will resolve and the macular tissue will return to normal. Age related macular degeneration is a disease of the eye where central vision can be permanently destroyed, as is the case in the above picture. 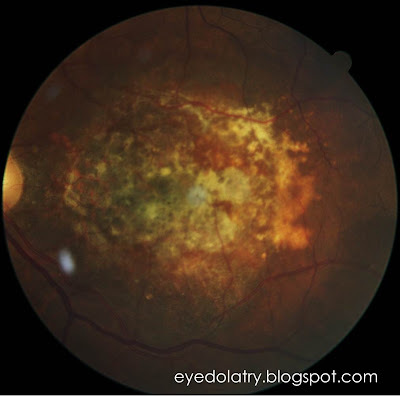 This patient has permanent vision loss, and the macular tissue is nothing but a devitalized scar. 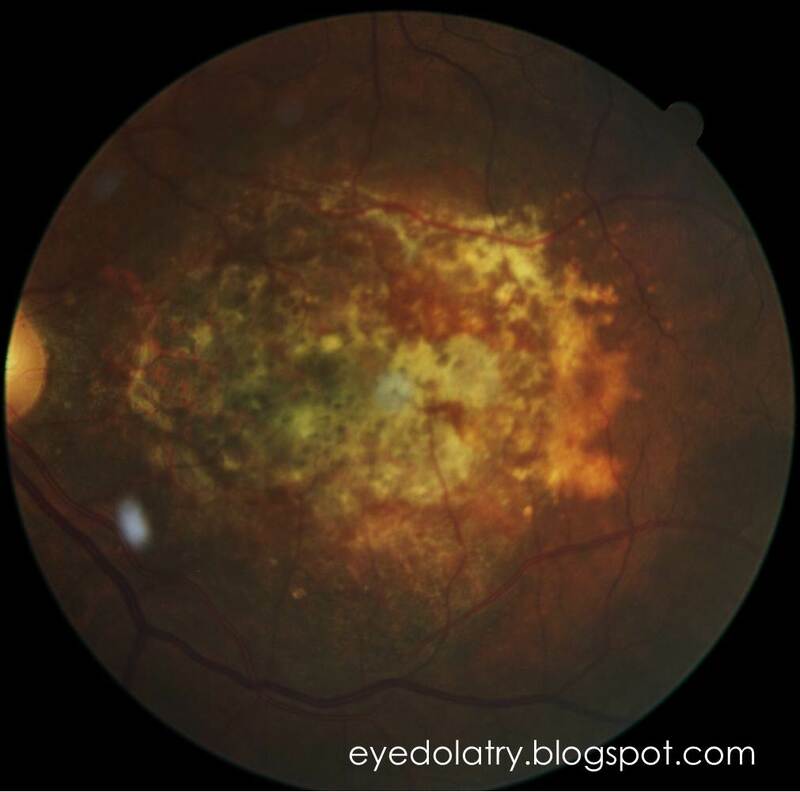 Unfortunately, this is the other eye of the patient with macular degeneration above. 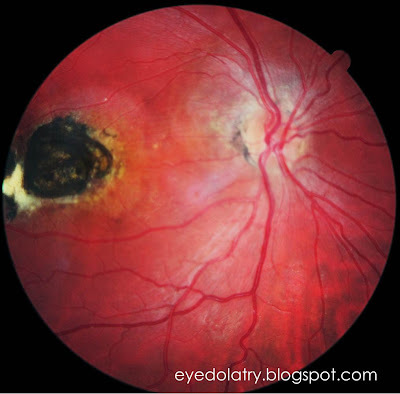 This eye had wet macular degeneration; the more aggressive type of the disease where bleeding causes extensive swelling and scarring. This eye had several injection treatments, but this is the best ophthalmologists could do to stabilize damage. Smoking and sun exposure are huge risk factors for macular degeneration (as well as genetics), and this is a condition that your doctor is evaluating for at every single eye examination. Toxoplasmosis is a more rare parasitic infection of the eye. The infection is typically spread through cat feces, but similar infections can be contracted from exposure to dog and bird excrement. This patient had permanent scarring from a childhood infection, but the parasitic infection is no longer active. There is no treatment after scarring has developed to restore vision. Plaquenil is used for treatment of malaria, but more commonly in the United States for inflammatory conditions like Rheumatoid Arthritis. In higher doses or with long-term use, plaquenil can cause macular scarring and vision changes. 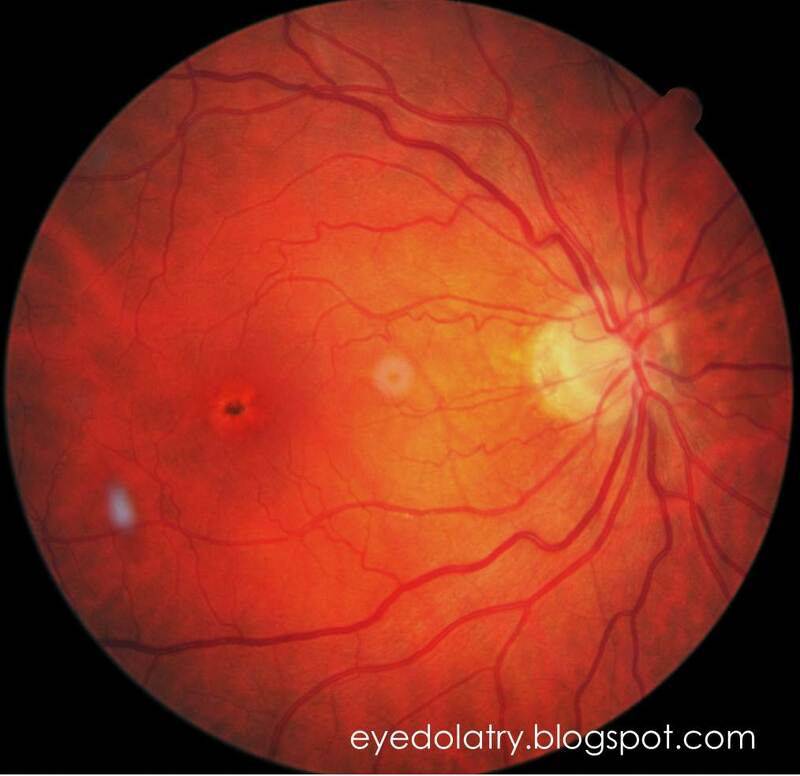 When changes to the macula are seen, plaquenil should be discontinued. In the majority of patients taking this medication, plaquenil use can be safe and without visual effects. If you are taking this medication, a yearly eye examination is required to monitor for this potentially permanent visual change! The patient in this photograph had been using Plaquenil for years, but gone a without an eye examination for 2-3 years and in that time this macular change occurred!